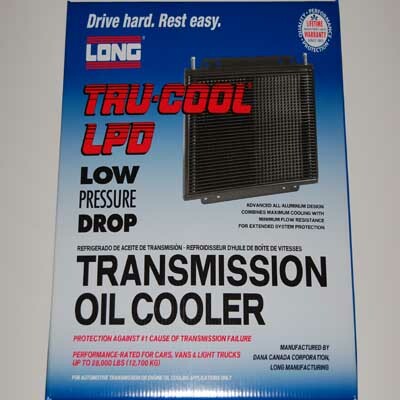 L & S Service recommends a Long Tru-Cool Low Pressure Drop cooler if you are depending on your vehicle to perform in conditions that might overheat the transmission and cause a failure. The Tru-Cool is made by Dana Corporation and is original equipment on many vehicles. This cooler offers up to 15 times less flow restriction, and 30% more cooling. The Low Pressure Drop feature prevents over-cooling and reduced lube flow in cold weather as well.